Microsoft has hit a five-year high and Bill Gates might again reclaim his position as the world’s richest man, even after having left the top job at Microsoft. The Microsoft stock has reached an all time high in five years and this is enough to push Bill Gates’ net worth up, beating the richest man till now, telecom mogul Carlos Slim. Coming to figures, Gates has stocks worth $72.7 billion whereas Slim comes to a close second with $72.1 billion- a very ‘slim’ difference indeed! 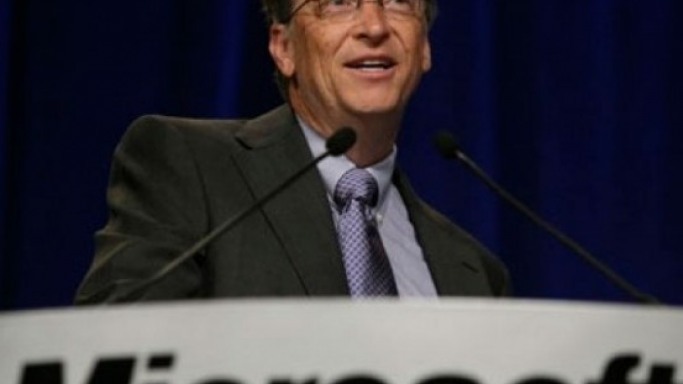 Bill Gates is the co-founder of the revolutionary IT giant Microsoft that has its headquarters in Redmond, Washington. Five years ago, Gates was named the richest man in the world and this year he has managed to topple the net worth of the Mexican billionaire businessman Carlos Slim by reaching the highest position as per the Bloomberg Billionaires Index. Bill Gates, 57, owns around 5% of Microsoft’s shares and still is the chairman. This year, Microsoft’s shares have gone up by a whopping 28% which has indirectly benefitted Gates as his investment has also received a 15% hike proportionately. On the other hand, Slim’s net worth has slipped by 3 billion dollars owing to the regulatory issues that he is having with his company, America Movil SAB, which is the most widely used mobile phone service used in the Americas. Furthermore, the monopolistic status enjoyed by Slim’s telecom company is now being reduced as the Mexican government is introducing more competition into the market with the passing of a new law that has deregulated the telecom industry. This has figured well for Bill Gates as it has catapulted him back into the Numero Uno position in the list of the most richest people in the world. Not only is Bill Gates the world’s most richest man, but he is undoubtedly the ‘world’s most generous and philanthropic person’ too. Gates is known for donating half of his wealth to charities and has also managed to rope in other influential wealthy businessmen like Warren Buffett to pledge their wealth for beneficial causes. He has donated nearly $28 billion of his money to the Bill & Melinda Gates Foundation, which is the world’s most wealthiest charitable organizations that Bill Gates operates along with his wife and Warren Buffett (who is apparently the third most richest man in the world). Bill Gates is a man who has put his fortune to good use with his philanthropic nature and therefore an increase in his fortunes also spells well for his charities to which he contributes abundantly. It’s rare to see the ‘world’s most richest man’ simultaneously carry the title of ‘the most philanthropic man’!